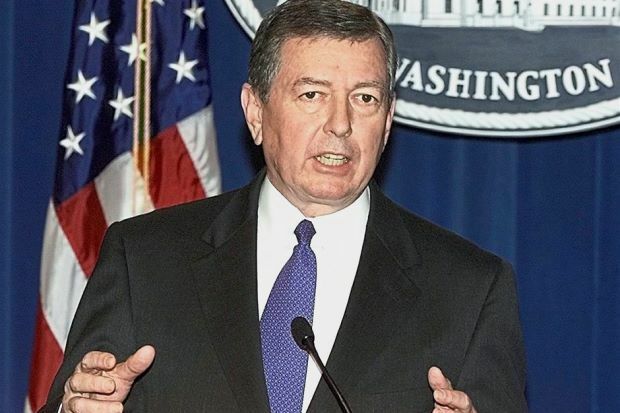 John Ashcroft was the United States attorney-general during the George W. Bush presidency and oversaw the Department of Justice in the turbulent days after the September 11 terror attacks. – AFP pic, June 2, 2018. EMBATTLED Najib Razak has engaged the services of a team of top US lawyers, including former attorney-general John Ashcroft and star litigator David Boies, in a clear sign of concern that the widening global probe into 1Malaysia Development Bhd (1MDB) could snare him and his family members. 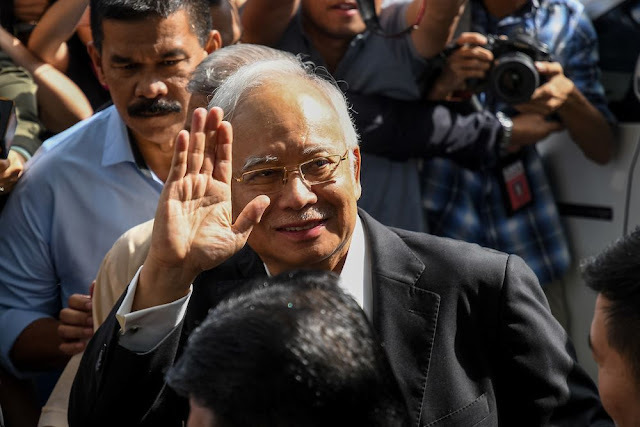 The United States Department of Justice (DOJ) has been investigating the alleged siphoning of funds from the state-owned entity for several years and even tagged Najib as Malaysian Official 1, but he had enjoyed immunity from criminal charges as the prime minister of Malaysia. So, even though the DOJ probe stirred occasionally and captured the headlines, he was largely nonchalant about the US probe and even made a widely-publicised trip to the White House last September. Things have changed drastically since May 9. Najib is no longer the head of a foreign government, and, therefore, no longer enjoys full immunity from legal action. Furthermore, Prime Minister Dr Mahathir Mohamad’s administration's vigour in nailing Najib for the 1MDB scandal and cooperating with US investigators, makes the former prime minister and even his wife, Rosmah Mansor, principal targets in the US. In the past, the focus of the DOJ investigation was mainly on Najib's son, Riza Aziz and businessman Low Taek Jho. But without the immunity of a prime minister and with the focus of the investigation in Malaysia on him and his wife, Najib has moved to hire top lawyers in the US. 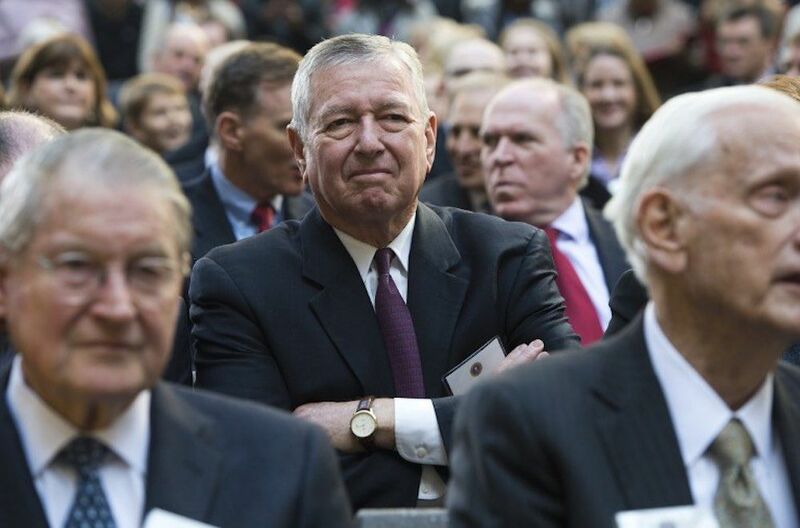 Ashcroft was the AG during the George W. Bush presidency and oversaw the DOJ during the difficult days after the September 11 terror attacks. After the Bush presidency, he set up a powerful lobby group called The Ashcroft Group and The Ashcroft Law Firm. Checks by The Malaysian Insight show that the law firm registered Najib Razak as client on the Foreign Agents Registration Act register last September. He was listed as the prime minister of Malaysia and under the category of financed by a foreign government/foreign political party and other foreign principal. It is unclear whether that engagement was for lobby or legal work because the FARA usually covers lobbying work in the US. The Malaysian Insight understands that in recent days, Najib has engaged Ashcroft as his lawyer. The former PM has also hired David Boies, one of America's top courtroom lawyers. He has acted for the US government in its anti-trust case against IT giant Microsoft and aided fallen financiers including AIG's Hank Greenberg and Enron's Andy Fastow. Sources told The Malaysian Insight that also part of the high-powered legal team is Matthew Schwartz. He spent a decade as a prosecutor in New York and handled several high-profile cases including the investigation of ponzi king Bernie Madoff. In 2013, he was named Prosecutor of the Year by the Federal Law Enforcement Foundation. Schwartz is now in private practice. Senior lawyer Tommy Thomas as the country’s new Attorney General. 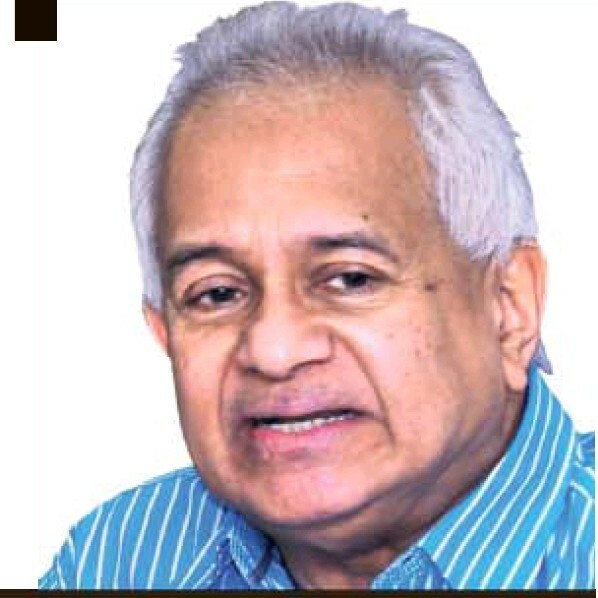 PETALING JAYA: A proposal by Prime Minister Tun Dr Mahathir Mohamad to appoint senior lawyer Tommy Thomas as the Attorney General has sparked a major dis­agreement with the King. Essentially, Dr Mahathir is adamant about replacing Tan Sri Apan­di Ali, submitting only Thomas’ name to Sultan Muhammad V.
However, the King insisted on more than one name, according to sources close to the royalty. “The King has suggested four names to Dr Mahathir, including an existing Federal Court judge and a Court of Appeal judge,” said one of the sources. “The King’s argument is that he wants somebody who has been a judge or even a retired judge. He does not care whether the AG is an Indian, Chinese or Malay,’’ said the source, adding that the King demonstrated this when he accepted DAP secretary-general Lim Guan Eng as the Finance Minister. The sources also pointed out that the King had once even recommended Thomas to the Kelantan government to act in a case against Petronas. “The King wants an AG who is able to advise him on Syariah matters too, but Dr Mahathir rebutted that the Solicitor General can handle that job. “However, the King felt that the AG as the top officer should be the one advising him,’’ said the source. The Palace felt that it was not right for the blogs to construe the issue as “a constitutional crisis”. “This is just a difference in opi­nions. The King informed Dr Ma­­ha­thir that if he really wants some­one to prosecute the 1MDB case, he need not make Thomas the AG. “Thomas could be appointed as a DPP (deputy public prosecutor) just like how it was done with lawyer Tan Sri Muhammad Shafee before this,’’ added the source. Just two days ago, prominent pro-Dr Mahathir blogger Syed Akbar Ali wrote on Malaysia Today, saying that there seemed to be serious issues developing between the Government and “another party” over the AG’s appointment. “There is a very strong rumour (which I heard from very strong people) that our Dr Mahathir has already shortlisted one candidate as the new Attorney General,” he wrote, adding that “the candidate is said to be a non-Muslim, male Indian” and “an expert on Federal Constitution”. Syed Akbar ruled out eminent retired judge Datuk Seri Gopal Sri Ram as the candidate. He further said that the appointment was being objected to on the grounds that the candidate was neither a Malay nor a Muslim. He said the new AG was tipped to be on a strict two-year contract with a job focused on institutional re­forms. Yesterday, news portal Malaysian Insight also reported that the new Government was headed for a clash with the Malay rulers over the appointment. Thomas could not be contacted to confirm the matter. Neither the press nor his close friends could reach him yet. A retired senior judge said the matter was far more complicated than it appeared to be. Senior lawyer Haniff Khatri Ab­­dulla said the three characteristics that an AG should have to be effective were that he should be able to give general advice on each and every legal policy of the country, assist the Government on every provision of the Federal Constitution and hold two roles as the AG as well as the Public Prosecutor. Malaysians have come out in support of Thomas as the new AG. 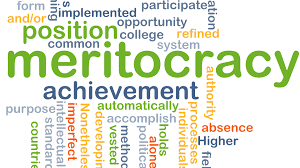 Social media users, in particular, said the Prime Minister’s choice of AG should be respected by the King, saying the Ruler must be above politics.